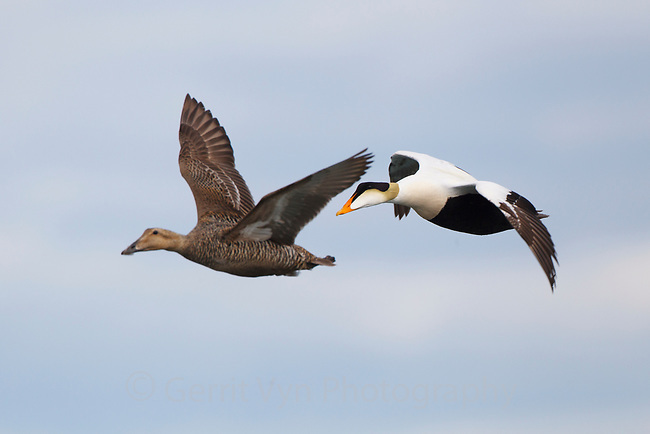 Pair of Common Eider (Somateria mollissima) in flight. Chukotka, Russia. July.